The Boutique Walk-In Three Sided is the epitome of opulence, the ultimate Walk-In for lavish bathroom spaces. 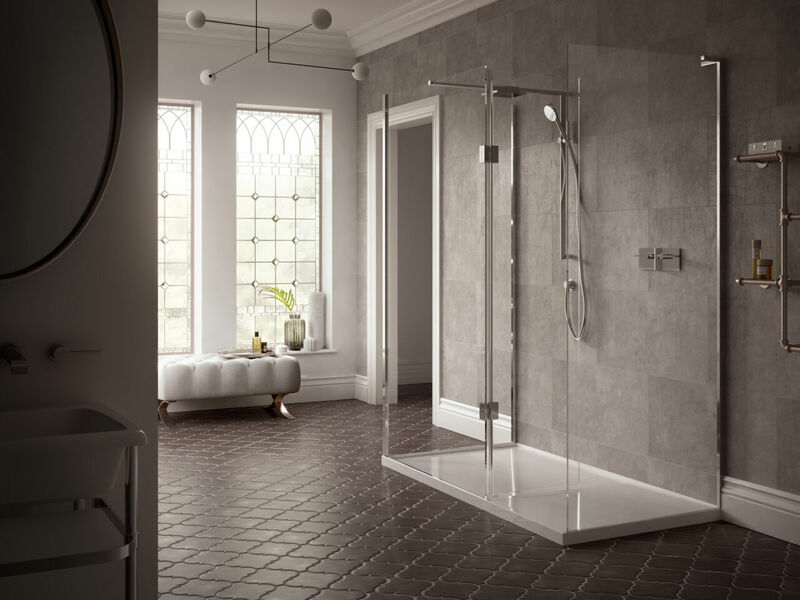 The framing is discreet and details are finished in Polished Chrome for a minimalist look to suit a range of bathroom styles. 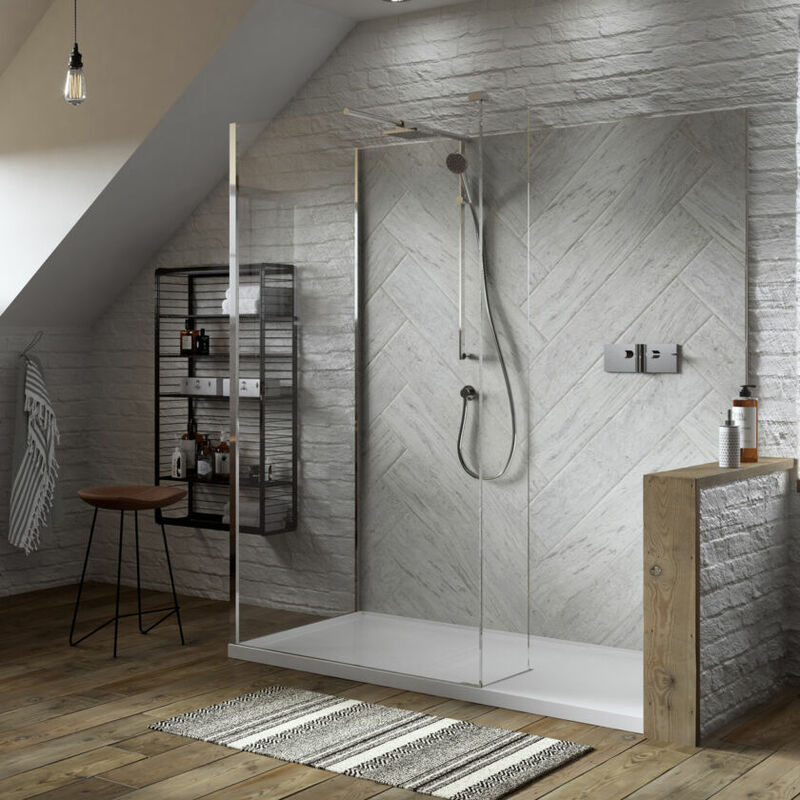 Complete with the innovative Boutique style integrated Shower Tray and available to order with two-way Matki Elixir Brassware, the Boutique Three-Sided delivers completely on both form and function. 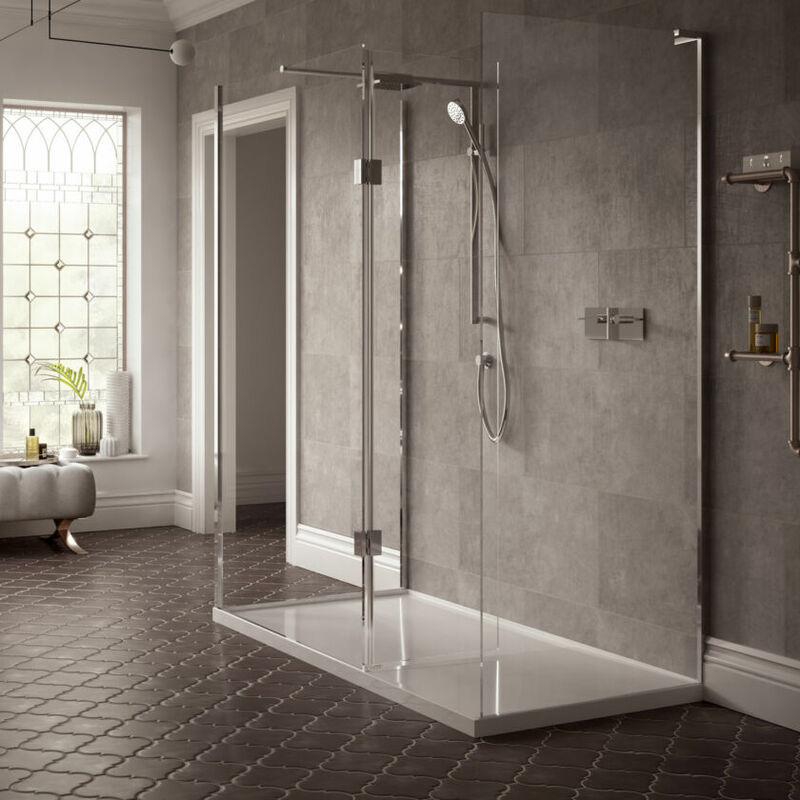 A Hinge Panel can be added to the setup to further protect the wider bathroom space from splash and spray.